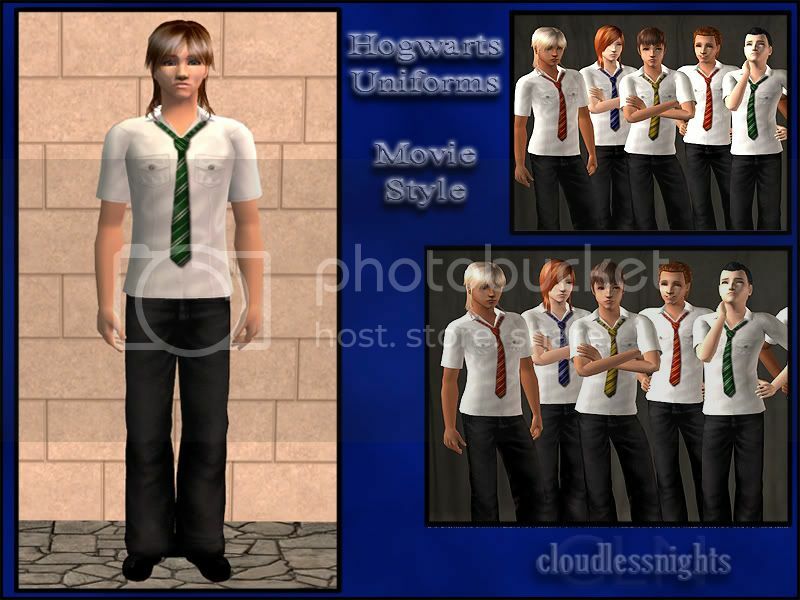 Ages ago, when I first posted my set of movie style shirts and Hogwarts ties for teenage boys, some people asked for a version for (young) adults, so here it finally is. 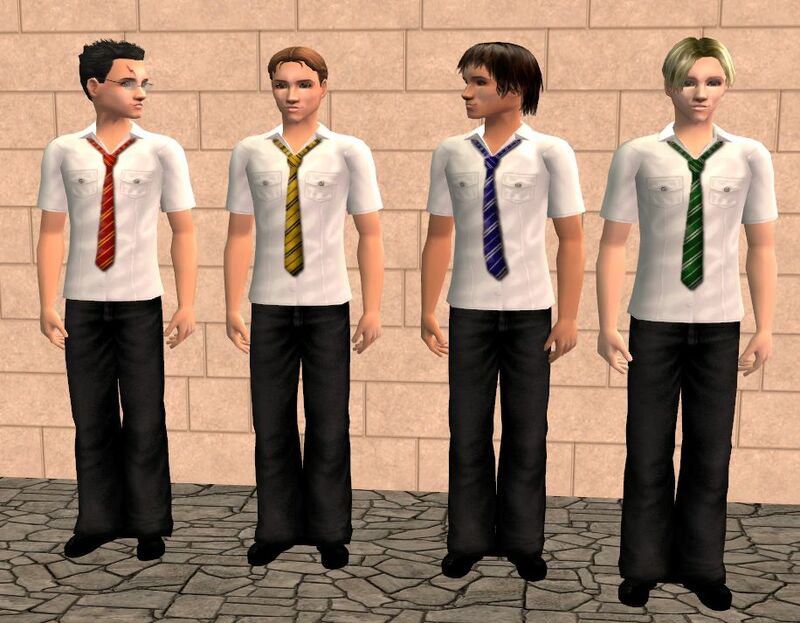 The set includes all four house colours; make sure you download the mesh (an adaptation of the teenage mesh for adults) as well. All items can be found under 'Everyday'. No expansion packs required.